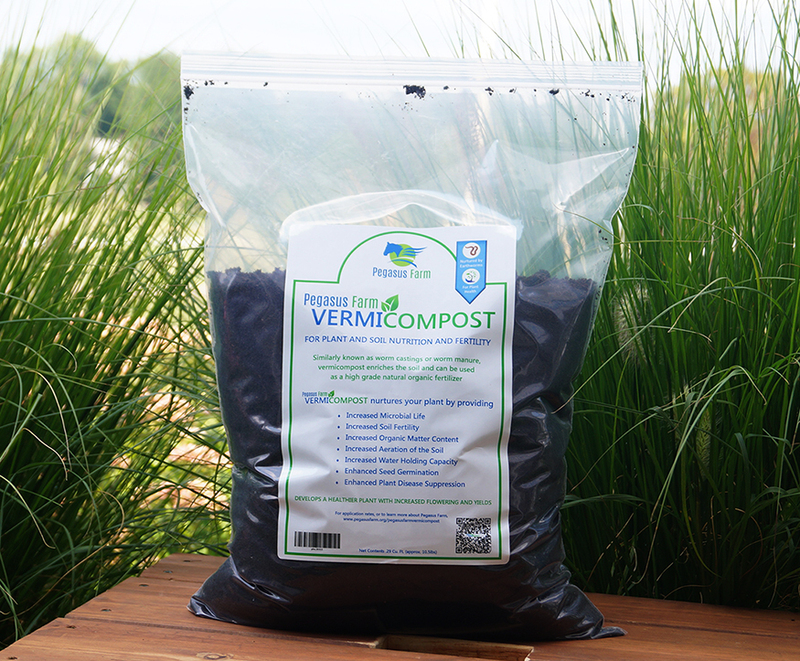 Vermicompost is a stabilized organic matter produced through the interaction of earthworms and microorganisms. It contains live organisms, like actinomycetes, fungi, pseudomonads, beneficial bacteria, yeasts, plant growth regulators, and trace elements. It is very rich in phosphorus, nitrogen, potassium, and magnesium. 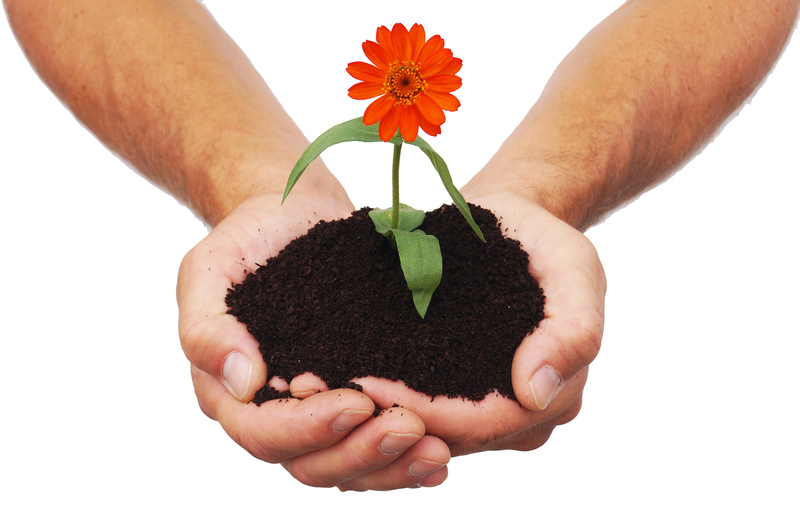 Vermicompost provides plant and soil nutrition and fertility. It is used as a soil additive, conditioner, and organic fertilizer. It is essential for healthy soil because it adds humus and organic matter to the soil providing bioavailable nutrients to the plants. It enriches the soil and creates a favorable environment for plants and stimulates their growth. It increases microbial life, soil fertility, organic matter content, aeration of the soil, and helps with water infiltration and retention, while buffering excessive acid or alkaline soil conditions. It enhances seed germination and plant disease suppression. pythium, powdery mildew, verticillium, rhizoctonia, ralstonia solanacearum. It has also been shown to suppress plant parasite nematodes and root knot nematodes. Vermicompost develops a healthier plant with increased yields. The worm's digestive process leads to super plant growth hormones being created in their waste. This creates an environment that promotes rapid root growth, which quickly leads to bigger, fuller plants. 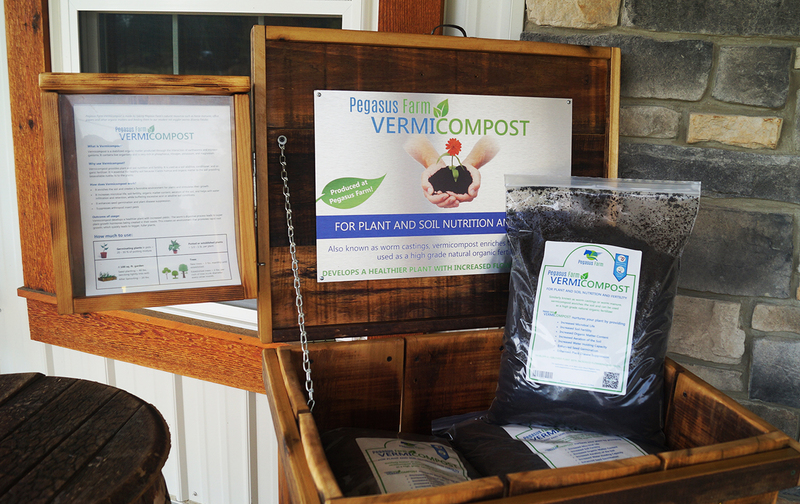 Pegasus Farm Vermicompost is produced by using horse manure, cow manure, and shredded paper (our worm food). These matters are mixed together and placed in an aeration bin to begin the thermophilic process. The temperatures of the matters are raised to a range of 130 - 170 degrees Fahrenheit for a minimum of 14 days. During this heating and aeration process weed seeds and pathogens are broken down. The food is then removed from the aeration bin, cooled and then feed to our red wiggler (Eisenia Fetida) worms. Our worms consume the food and place their valuable manure into the matters they have broken down creating our vermicompost. After Sprouting ~ 20 lbs. Top dress plants ~ 1/2 - 1 lb. Potted or established plants ~ 1/2 - 1 lb. per plant. New trees ~ 3 lbs. monthly until established. Established trees ~ 2 lbs. per inch of tree trunk diameter every other month.